TIP There are no rights and wrongs, and the possibilities are endless. For example, on this study (left), I worked on paper that I had painted black instead of working with the usual white. Try a few of these sheets using different colours, values and marks. 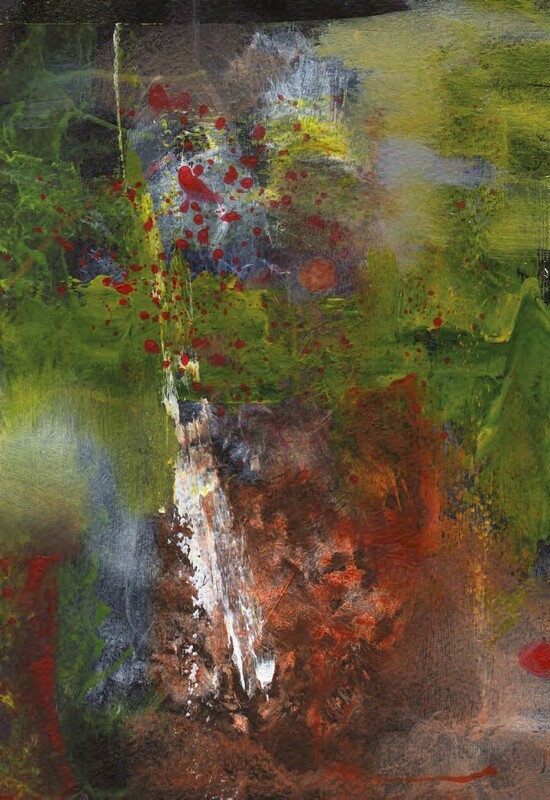 Over the coming months we’ll explore acrylic paints and some of the techniques and applications we can use with them, but before you start, take a little time to play and get to know what your paints can do. Buy an A4 folder in which to keep your work and date your studies to monitor your progress. We will use good-quality paper throughout so why not use both sides? Remember we’re learning here and these are studies so make time for lots of practice; after all, it’s only paper. Welcome to the April issue of Leisure Painter. 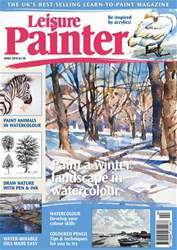 From experimenting with watercolour and gouache to paint a winter landscape and a beginner's guide to acrylic painting to sketching animals from life and drawing trees using ink, this issue is packed with practical advice and information for the amateur painter. There is a plethora of demonstrations to paint in watercolour, acrylic, water-mixable oils, pastels and more to help build confidence and skills along with projects from photographs, tips and techniques and inspiration. Enjoy your month of painting with Leisure Painter.